About a week ago, I decided to take a short break from crochet and pulled out my dusty self-teach knit book. I sat for awhile with some yarn and needles from my Mom’s stash and taught myself to cast on and practiced the knit stitch. After making mention of my attempt on other social media, one of my supervisors from work commented that she needed pot holders. How could I say no? This is the first completed one. 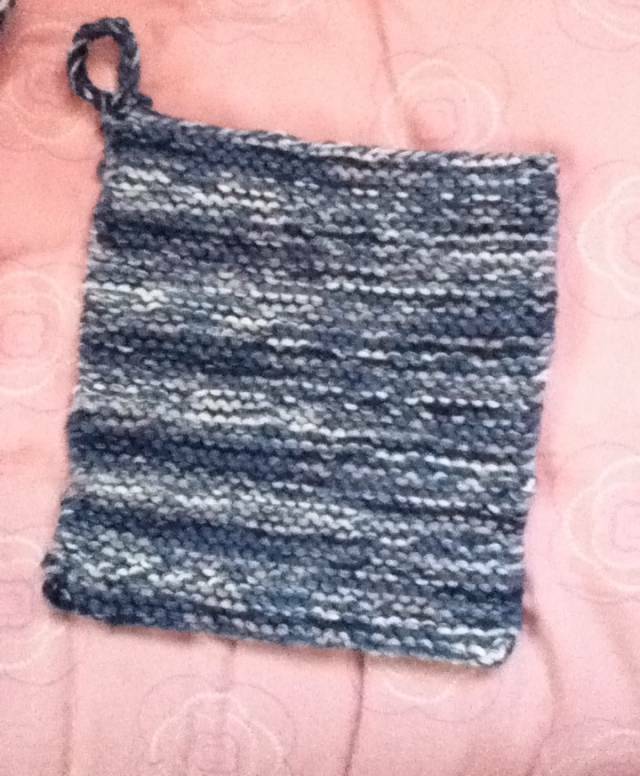 I’m making another, then I’ll be back to crocheting but will continue to learn more in knitting. Knitting and I don’t get along. Your supervisor will love them!